Utah’s Inland Port is a landmark opportunity for us all, but it will take collaboration and foresight to maximize our prosperity and ensure we maintain our great quality of life—both now and in the future. Click to share your voice and scroll down to learn more. 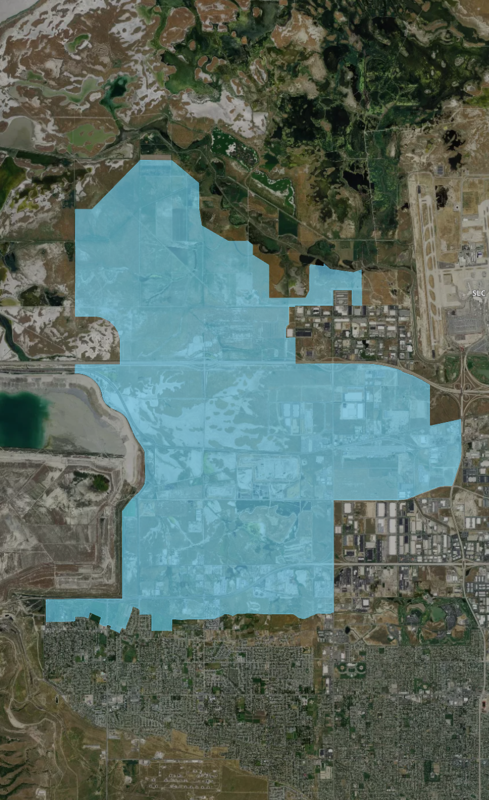 The Utah Inland Port area is one of the few remaining undeveloped areas of Salt Lake County. It sits at the intersection of two interstate freeways, major national railways, and an international airport which puts the area in high demand for expanding warehouse, distribution, and manufacturing. In addition, Utah’s population will nearly double in the coming decades, creating the need for more jobs and for greater ability to move people and goods. The Inland Port Authority was created to engage with interested organizations and individuals to establish a strategic plan that maximizes economic and other benefits while maintaining a high quality of life. We are in the preliminary phases of gathering public input related to the proposed inland port. Thank you to all who have attended the input meetings so far. If you haven’t been able to make it, please come to our third public forum. Thursday, March 28 | 6 - 8 p.m. Per Utah Code 11-58-302, the governor appoints two board members, one being an employee or officer of the Governor’s Office of Economic Development. The following appoint one board member each: The Senate President, Speaker of the House of Representatives, Salt Lake County Mayor, Chair of the Permanent Community Impact Fund Board, City Manager of West Valley City. View board meeting agendas, minutes, and other related paperwork below.